Paul found that although the Faithfull #80 Scraper is similar to the Stanley, the blade was thinner and sharpened to the wrong angle. Although this turned out to be easier to sharpen, it didn’t work as well as a thicker plate. The Axminster Rider No. 80 Scraper comes with an extra thick blade which is hardened, this makes it impossible to sharpen by conventional filing methods. We would recommend buying a Veritas blade for £11 and using it in the Axminster Rider #80 Scraper. The #80 scraper is also known as a cabinet scraper so if you are struggling to find one, try searching using that name instead. Make sure to check the price of replacement blades when you order your cabinet scraper to check they are affordable. 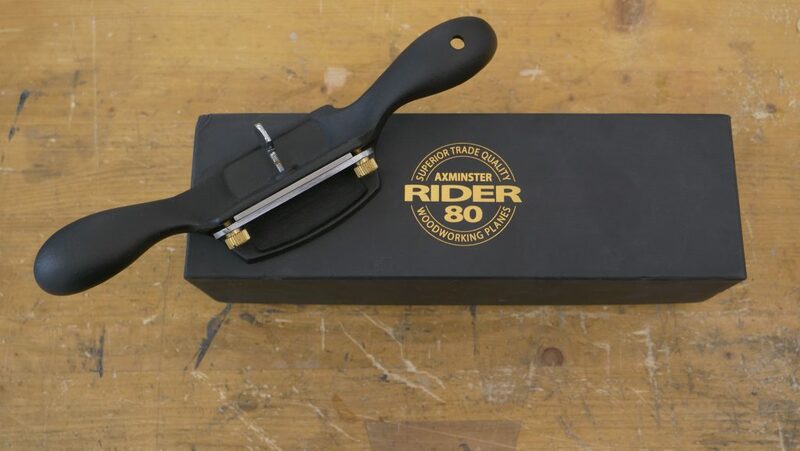 /We bought this Rider #80 Scraper for £24.96* with £2.95 shipping which is also available to order from the US. It looks like shipping is about $20 to the US. So the axminster for $49 plus Veritas blade and shipping brings it about the same as the Veritas cabinet scraper. Should I just get the Veritas scraper? Or is anything better about this axminster one? If this is the same price as a Veritas for you then Paul would suggest getting the Veritas.